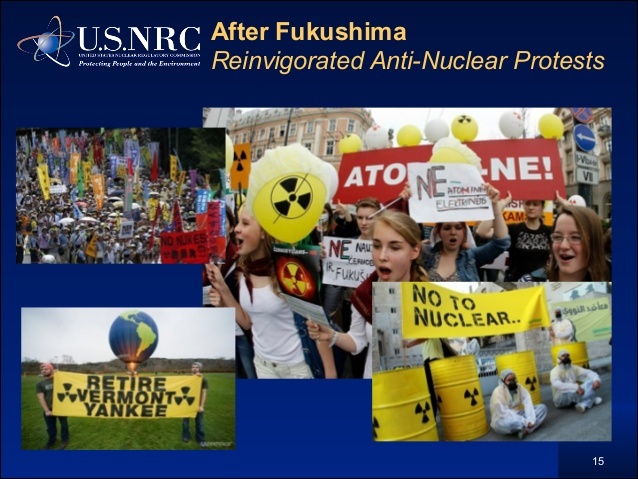 The onset of the Fukushima nuclear disaster on March 11, 2011 set off a new round of anti-nuclear protest across the world so large even the U.S. NRC was forced to take notice. About 300 people gathered in the Diet Offices to commemorate the Tohoku earthquake, tsunami and Tepco’s meltdowns. Hosted by Friends of the Earth Japan and a large network of NGOs in Japan working on every nuclear concern, including continued aid and support to Chernobyl victims, this was a national-scale event. At 2:46 we paused to silently mark the time of the quake. A number of people I have met previously on this tour are here. It feels good to have new friends here. What follows is a piece I wrote in anticipation for this day. I know it is long. I hope some will read it through. It is Mary’s Manifesto on radiation, but I feel with some certainty that Rosalie Bertell would support it! Interesting that the paper reports the UN Agency as saying the doses from 2012 on will not cause health problems… Does that mean they are admitting that the doses from 2011 definitely will? We now have confirmation from Richardson, et all that many small radiation exposures over an extended time that add up deliver the same level of harm to a body as did the A-Bomb. Today, Lakota children in the Black Hills of the Dakotas and other uranium contaminated areas; children in Kazakhstan, Marshall Islands, Utah and other nuclear weapons test areas, children still living in contaminated areas of Ukraine and Belarus, and those living here in Japan are all effectively “swimming in radioactive “soup.” More exposure one day, less another but breathing, drinking, eating radioactivity across their lives. Here is the fundamental point that is missing from the regulator’s thinking: every adult was a child. From 2011 on, here in Japan, all children in contaminated areas (some far beyond Fukushima) are impacted to one degree or another. Any calculation that assumes that exposure began after adulthood was attained applies only to the adults of 2011 and before. The adults that emerge from the children of Daiichi are different. They will likely continue to be exposed as adults, but the deal is done: any radiological damage in childhood will dominate. 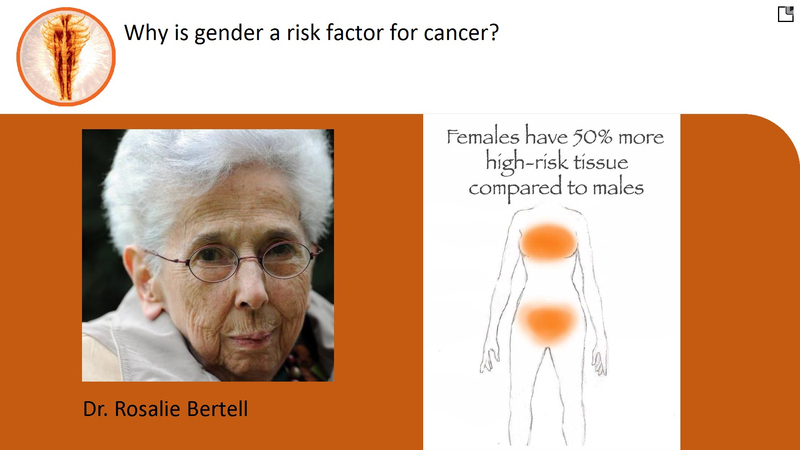 The cancers will likely come in adulthood, but not primarily from exposure as adults. This will continue. All the projections on health consequences imagine that for the rest of time there will be adults who were not exposed as children. This is magical thinking for these hot zones. We can hope that people will leave. We know some people are paid to come in. But we cannot really imagine a real estate boon in Fukushima Prefecture. The deal is done. 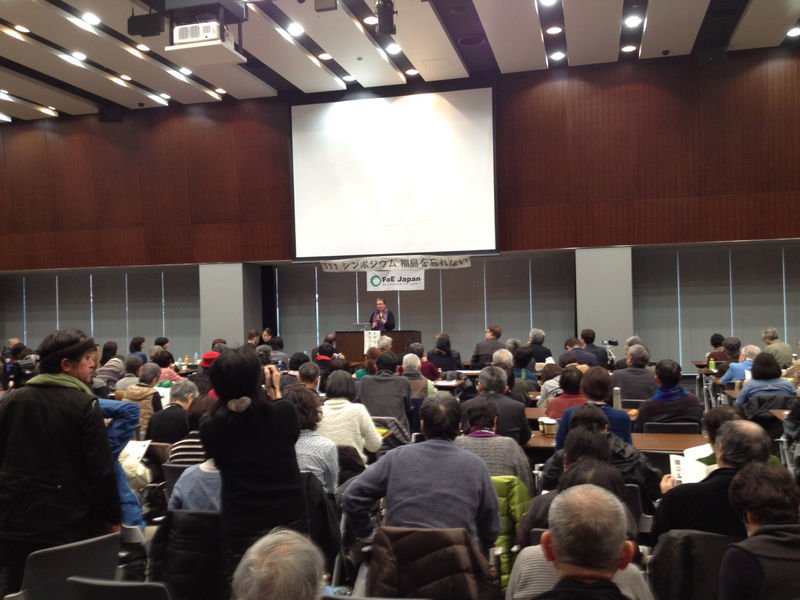 Mary Olson speaks at a Fukushima anniversary event in Japan’s Diet Building, March 11, 2016. Another way to speak of childhood exposure to radiation is that it is an “opportunity cost” in terms of an individual who has been exposed as a child ever fitting the assumptions the regulators use about adults. Regulators tag age groups in a large hypothetical population. They do not assume that their “adults” were exposed from birth on. People growing up in contaminated areas do become adults. They do continue to be exposed, but their exposures as children make them a different category of adult when it comes to “risk.” Most regulators do not consider this. No regulation factors the gender difference. Radiation regulators exercise powers of life and death and like that story of an Emperor who thinks he is wearing magical cloth, it is time, once again to to point and say “Look! You are naked!” These emperors of radiation regulation are clothed in mumbo jumbo of “dose” and “risk” and “keep the people confused.” None of this is real. Japan Diary 4 tells the story of age and gender as factors in radiation harm. We can no longer say that “a millirem is a millirem.” It matters WHO is getting that exposure. What age? What gender? Likely we will someday learn about other important factors. It is true that elements like uranium and plutonium area also toxic (poisonous). Here I am focusing on radiological impacts only, but those who live with uranium and plutonium contamination need to know there is a “double-header” of both! In 1984 I had a job as Assistant in Research in a lab at Yale. I got contaminated with a radioactive element common in biological research: Phosphorus-32 (P32). Some of the exposure was internal. Like all radioactive elements, the body responds to the chemical characteristics: cesium is similar to potassium so it tracks to muscle; strontium is similar to calcium so it finds its way to bones, teeth and Mother’s milk; phosphorus has many routes in the body—in the lab we used it to track neural activity, but also tracks to the DNA itself. Sort of like giving the bank-robber a bank-guard uniform. P32 has a 2 week half-life, making it pretty highly radioactive. When the radioactive decay step happens, the atom is no longer phosphorus, but becomes the stable atom, Sulphur32. Here is the rub: if the body has incorporated the phosphorus into a molecule, suddenly the molecule (with no warning) now has a Sulphur atom where it thought it had a phosphorus; particularly troubling inside a DNA strand. Other radionuclides create similar chaos as they decay. Nonetheless, anyone can follow this: It is true that a radioactive wave or particle does knock an electron off of another atom (likely in a molecule). When the electron is knocked off, the remaining configuration now has a “charge” because the electron (minus) is gone. All of radiation regulation is based on measuring the production of ions in living tissue in response to X-rays. The details of other radioactive events (decay via emission of alpha, beta and neutrons) are mixed in, but the fundamental concept of “dose” comes from the simple measurement of ions generated by exposure. This list of types of cellular damage are more likely from internalized alpha particles and beta particles. For years the radiation regulators have ignored internal exposure, and attributed zero-dose to alpha particles since they bounce off the skin. Inside the body (inhaled, ingested or injected) they are many times (some estimates as high as 1000 times) more harmful than an X-ray/gamma ray. Here are simple reasons why this makes sense. The alpha particle (an energetic bundle of 2 protons and 2 neutrons) is enormous compared to the wave of energy (no mass) and even compared to the beta (electron-sized). Does a cannon ball do more damage than a BB? Where internal exposure has been considered a really bizarre concept of “effective dose equivalent” is used by the emperors of radiation. While there are mitigating parameters, such as inclusion of weighting factors derived from organ-doses studies (from equally inhuman experimentation in the U.S.), the whole approach exceeds credibility: the regulators decide how much ionization the internalized radionuclide is likely causing and then they distribute those ionizations as if they were to the whole body. Averaging the high local dose across the entire body mass–with no recognition that the energy to break a chromosome is local–that the concept of “dose” from external exposures includes distance from the source as a factor. When the source is internal, distance for the immediate tissues drops to zero. This is a quantum change, not a simple matter of degree. Let’s get to it: dose is irrelevant in this picture. Final Point 5: No two radiation exposures result in the same harm; every is unique. Dr. Donnell Boardman was a physician in Massachusetts who treated some of the first nuclear power workers. Donnell told me (he was retired when I met him) that no two radiation exposures, including to the same person, are ever identical. Donnell liken radioactivity’s impact on living tissue to car collisions. We do not expect to find any two accidents that are identical. Donnell saw hundreds of nuclear workers and he said that nearly every story and the problems the individuals faced were unique. Radiation is a physical event, but it depends as much on the body and the unique chain of events at the cellular level to determine the outcome. The broad-brush dose-response work done on adults is important, but the projections based on it just do not hold water. Radiation Regulators: you have no clothes. Your newsletter is so very important! I learn a lot from it. Related to the topic is my blog: http://www.maryloudaurayartblog.blogspot.com. I write it from an artist’s point of view. Brilliant explanation of radiation by Mary Olson. What is the smallest number of bullets that can be safely shot at me at close range? Answer: Zero What is the smallest number of marshmallows that can be safely shot at me at close range? Answer: Infinity We are talking about “bullets” here. Don Richardson gaia@comporium.net Muslims? It’s the Christians that terrify me.